These sites have tools you can trust to help you make better money decisions. 15. How do I keep my skills sharp? With the job market still sluggish, staying current in your field -- or adding new skills -- is especially important. 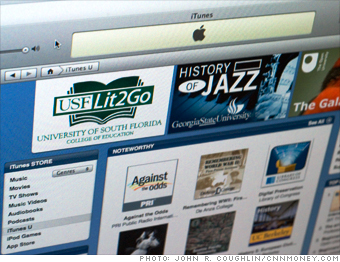 Enter iTunes U. Not technically a Web site but rather a destination inside Apple's iTunes Store, it lets you download free materials ranging from finance lectures at Yale to interviews with Wharton faculty members. Caveat: None of the lectures will earn you any credits -- but for mid-career folks, ideas can be as valuable as credentials. Try this too: Academicearth.org has a smaller selection, but it's focused on top schools. NEXT: 16. What's the best price I can get on a car? Note: We didn't assess sites that deliver primarily news and information, such as WSJ.com or CNNMoney.com.